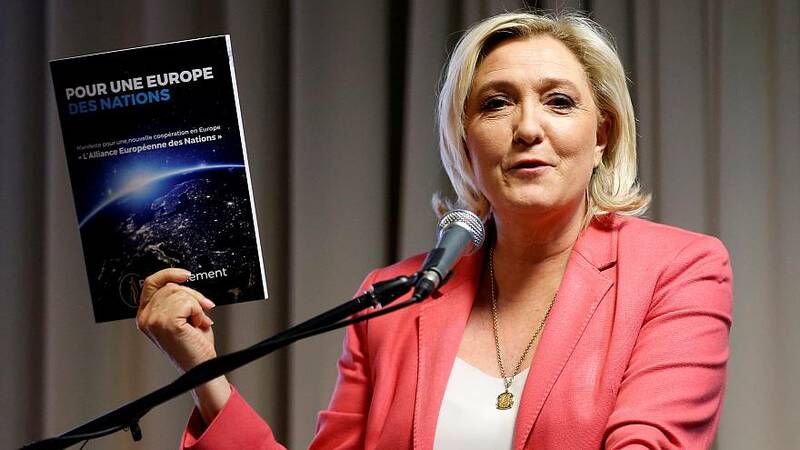 To get rid of the European Commisison and to reform the European Parliament are some of the proposals in the French far-right party's manifesto and program for the European elections. "We are committing ourselves to freeing the Nations from a Union that suffocates them, that deprives them of their sovereignty and that seriously undermines democracy," Le Pen told gathered reporters. "The European Commission is dedicated to our commons interest. And to cancel, to destroy this institution is really a king of final blow to the functioning of the European Union." Le Pen wants the Member States to deal directly with a reformed European Parliament that would "serve the Nations", but that could paralyse the Union says Jean Arthuis a Liberal French MEP. "The parliament would be composed by representatives of national parliaments. This was the formula from before 1979. I do not think this could work. Europe is already too often an addition of national egos." Iational Rally (RN) also defends changes in the European Central Bank and Frontex. According to the latest polls, RN is in a technical tie with President Macron's Liberal group La Republique en Marche LREM (21 and 20 seats, with RN in second).